Goldfinches hold special meaning for many people. For me, they are a sign of spring and new life. Dogwood trees ablaze in the spring sunshine are heavenly. 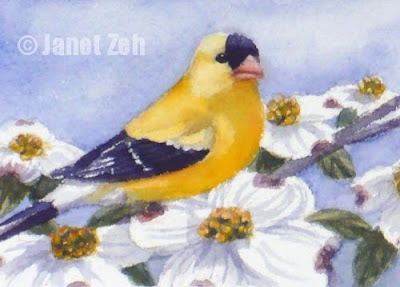 Together a goldfinch and dogwood tree make a lovely painting.